The cello part for Brahms' Variations on a Theme by Haydn has been edited by Stephen Balderston, String Coordinator and Professor of Cello at DePaul School of Music and former Assistant Principal Cello with the Chicago Symphony Orchestra. Balderston's bowings, fingerings and other editorial markings have been added throughout the score. 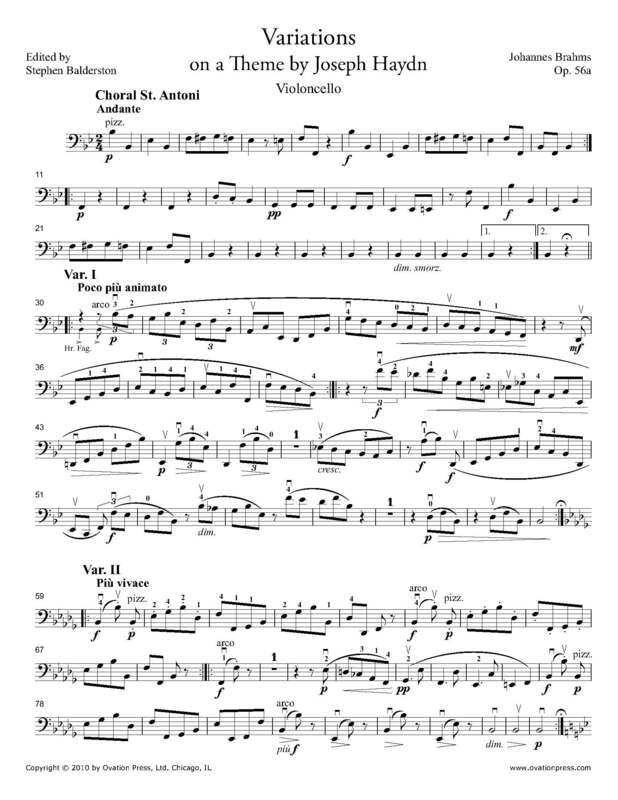 Download and print the score today to gain access to expertly edited Brahms' Haydn Variations cello fingerings and bowings from Stephen Balderston!